Some of the top aerobatic pilots in the nation performed in the U.S. Bank Air Shows during Fair Saint Louis this year. 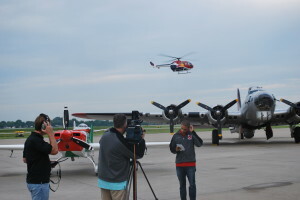 Several were at St. Louis Downtown Airport very early on the morning of July 3, so members of the St. Louis media could interview them as a preview for the popular fair air shows. One of the pilots was Chuck “Malibu” Aaron from California. 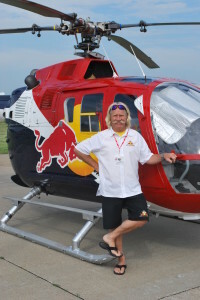 He is the only pilot in the United States and one of three in the world licensed to fly a fully aerobatic helicopter. 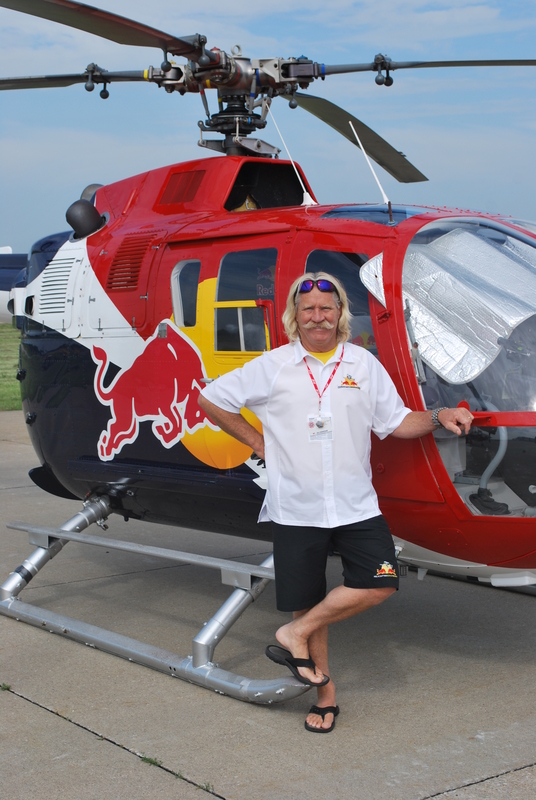 He pilots the Red Bull helicopter and performs exciting loops, rolls and dives with the MBB–Messerschmitt Bo 105. When he was a youngster, he had recurring dreams about flying on a magic carpet. Now, his magic carpet is a helicopter. He wants children to pursue their dreams, whatever they they may be and to use their passions to make America even better. Another U.S. Bank Air Show pilot whose dreams are coming true is Patrick McAlee who lives in the Wentzville area. He is a commercial pilot whose love of flying carries into his free time as an aerobatic pilot performing around the country. He would love to pursue his passion for aerobatic flying full-time in the future. Growing up in the St. Louis area, McAlee attended the VP Fair with his family and watched the air shows from the Gateway Arch grounds. Now years later, he is happy and proud to be performing for the first time for his hometown crowd at the fair. 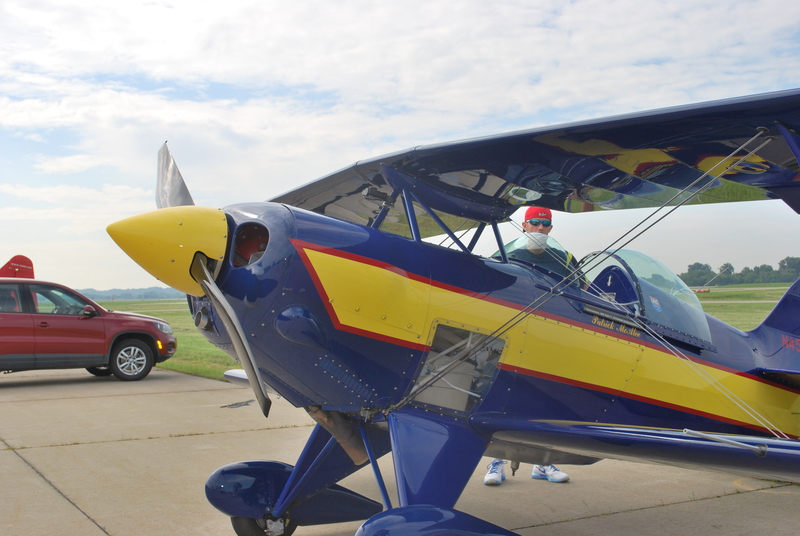 It meant so much for him to fly in the U.S. Bank Air Shows he waived his usual performance fees. 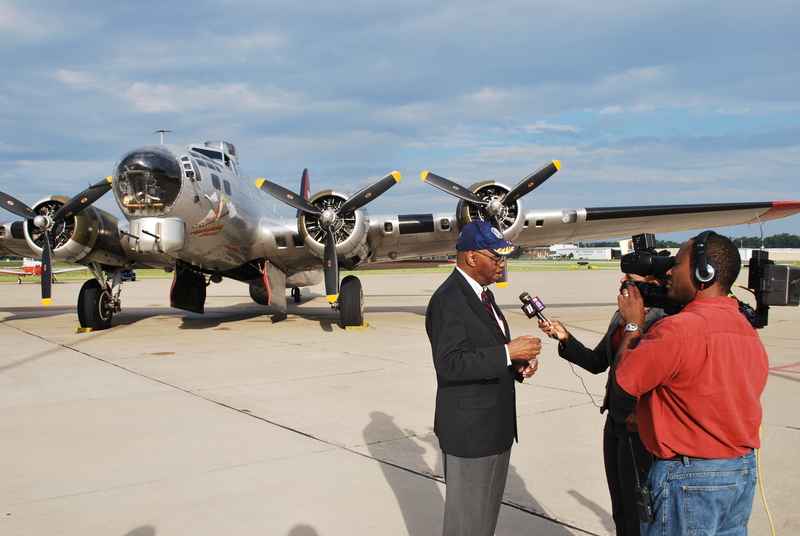 McAlee’s performances in the July 5 air shows were especially meaningful. His mother died from cancer five years ago on July 5. She took him to the VP Fair air shows he was a youngster and she encouraged him to pursue his aerobatic flying dreams and that made those flights on the anniversary of her death extra special. McAlee has cameras installed on his aircraft and captures some great photos and video. 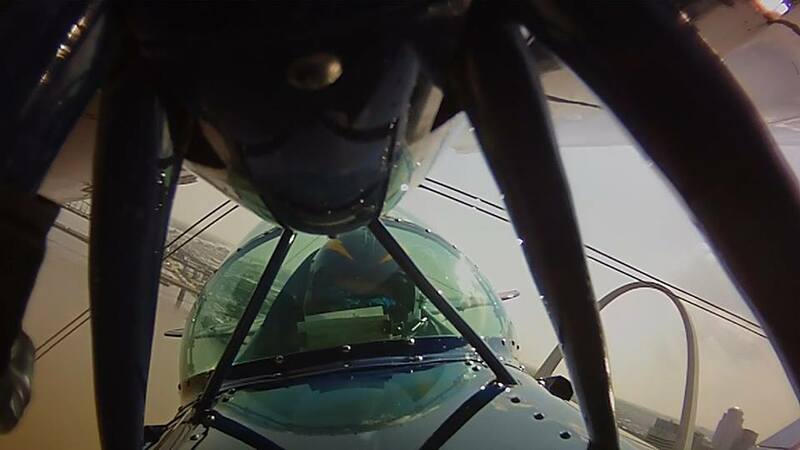 He taped the view from his tail camera during his practice run on July 3 and shared it with us. Click here to see that exciting video. 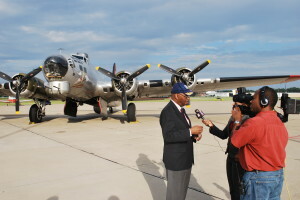 Tuskegee Airman Major George Boyd did interviews with reporters, as well. He was in town from Wichita, Kansas to serve as one of the Honorary Grand Marshals of the Veiled Prophet Parade on July 4. 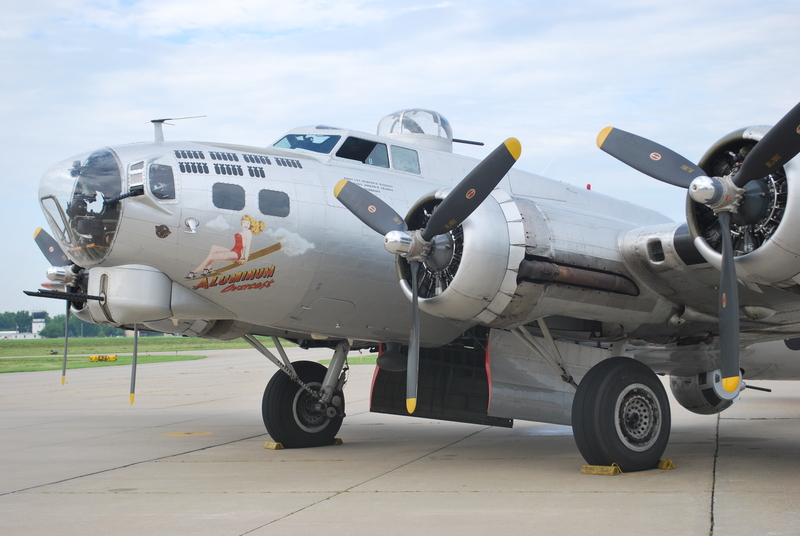 The World War II B-17 was back this year for the air shows and for public rides and tours. It isn’t often you get a chance to see what was called the Flying Fortress up close. Only 13 in the world are still airworthy, and this is one of only two available for the public to go up in. 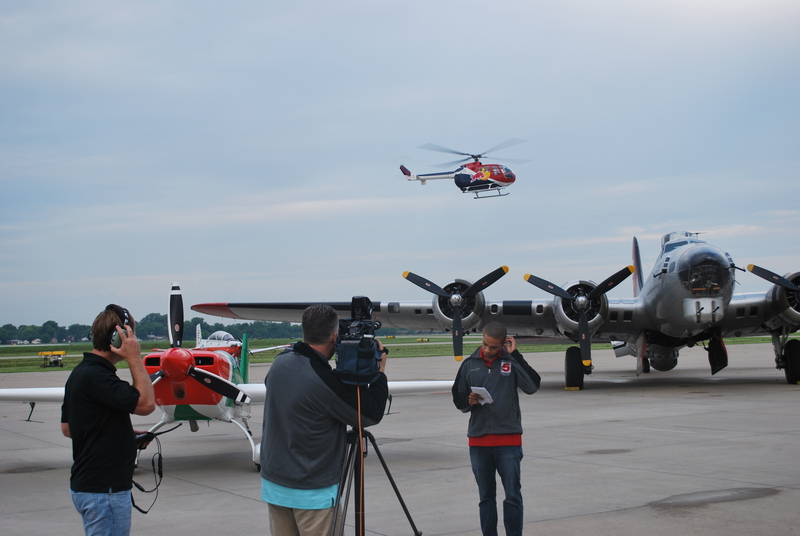 Aircraft involved in the U.S. Bank Air Shows were staged at St. Louis Downtown Airport during Fair Saint Louis. Bi-State Development Agency/Metro owns and operates the airport. It is the fourth busiest airport in the state of Illinois. The annual economic impact of St. Louis Downtown Airport on the region is now estimated to be more than $583.9 million.